Here's something easy and light for a day the temperatures are in the mid 90s. 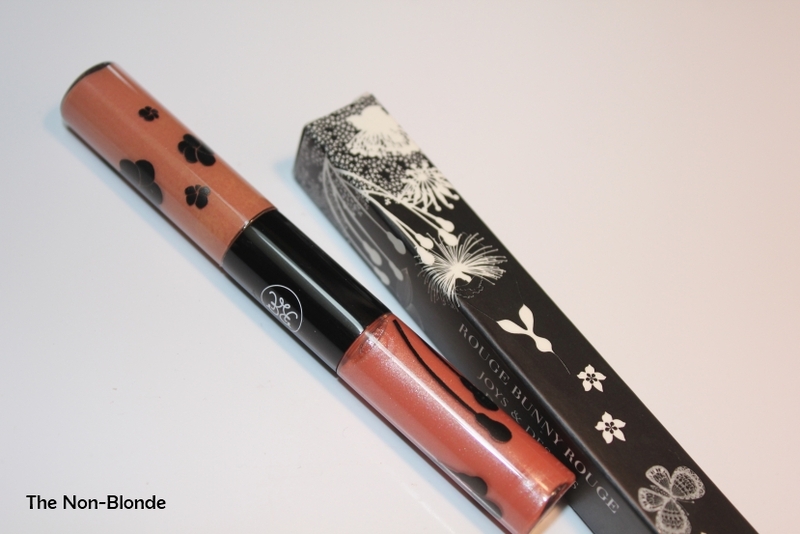 Rouge Bunny Rouge Flamenco Duende Decadent Duo has two products in one wand. 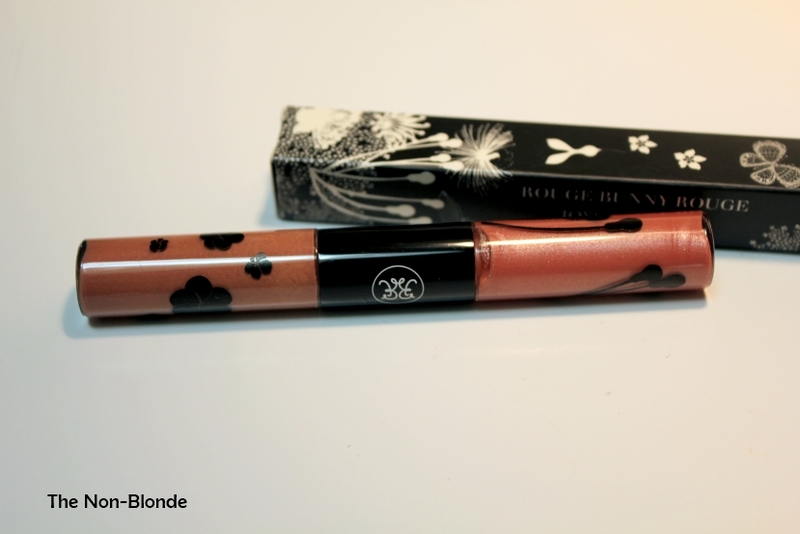 One end holds a summery peachy lip gloss (honey-gold undertones, not orange, so it's an easy to wear neutral) with very fine micro shimmer. The opposite side is a liquid blush/cheek tint in a medium tan color with no visible shimmer. Again: wearable, summery and very light. I love the textures of both lip gloss and cheek color. They have the finesse of other Rouge Bunny Rouge products I've tried so far. Color-wise I'd probably be more comfortable with the rosewood-based Rumba Cubana, but this duo in Flamenco Duende was a gift with purchase and it's perfect for taming down other shades I have and make them more summery. 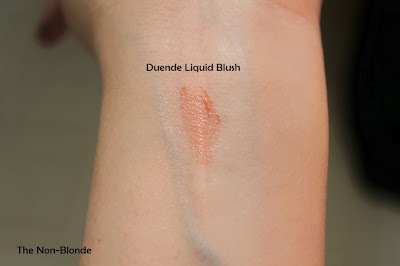 If you're darker than NC35 I'd probably suggest skipping this one as it might be too sheer and beige-like. 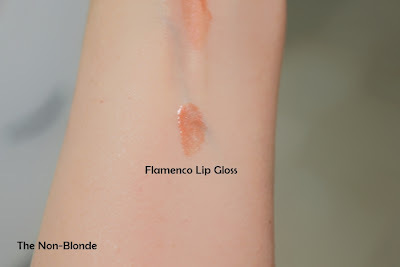 The lip gloss has an average staying power (meaning: expect touch ups every couple of hours), but the cheek stain stays put very nicely, especially since I never skip primer, tinted moisturizer and a finishing powder, so everything holds well all day long. Rouge Bunny Rouge Flamenco Duende Decadent Duo ($43 in the current exchange rate) is exclusive to Zuneta.com. Mine was a GWP.